Swookiee basically is a JVM Runtime for REST Services. It is lightweight (~17 MB, yeah... "lightweight") and includes libraries like guava, joda-time, metrics, etc. It also supports service implementation written in Groovy and Scala (+7MB each). It uses a JAX-RS 2 (Jersey), Jetty, Jackson stack on top of the Equinox OSGi runtime to serve REST Services. swookiee also provides multiple REST APIs to deploy and control services and components via REST. When swookiee is up and running the Web Console can be accessed via http://localhost:8080/system/console. The default credentials are admin:admin123. Through using the given @Component annotation the implementation of the interface will be exposed. A REST service will be exposed using the OSGi - JAX-RS Connector. Thus, every JAX-RS component which is an available OSGi service will also be published via Jersey. You will find a deteiles Jersey user guide here. In case you want to use logstash and kibana to analyze your logs you might want to use JSON as an output format. This can be achieved through setting the property productionLogging to true. To change the output folder configure loggingDirectory with your desired path. The output filename will be osgi-json.log. The Swookiee Runtime can be configured programmatically and via the UI of the Web Console. The above described REST Resource can be enriched using swagger-annotations. A full sample can be found here. 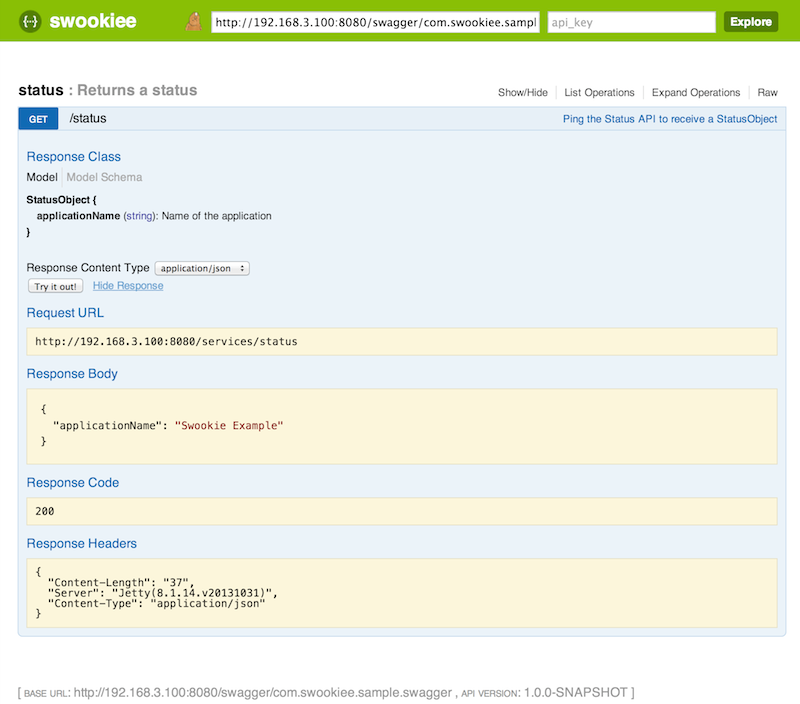 Make sure you have the maven-swagger-plugin configured properly and you are able to see generated swagger json files? Also make sure that the <basePath>/services</basePath> is set according to your configuration. Otherwise you won’t be able to test you API. Is the generated json part of your bundle/artefact/.jar? Is the folder accessable from within the Bundle? Set the the Bundle-Classpath to include the documentation folder. Add the X-Swagger-Documentation header in you MANIFEST.MF or your maven-bundle-plugin configuration to point to the documentation folder inside the jar, such as: X-Swagger-Documentation: /swagger. After installing the bundle you will find the swagger-ui under http://localhost:8080/swagger/index.html. Click on the small swookiee icon to see your documentation and test your API. Many thanks to Intuit Data Engineering & Analytics for the support! The code is published under the terms of the Eclipse Public License, version 1.0. 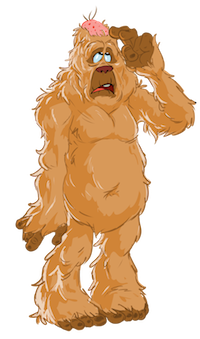 * derived from "shaved wookiee"